George R.R Martin (the author of 'A Song of Ice and Fire') is probably one of the most brilliant story tellers ever! Most fans familiar with George R.R Martin's books will tell you that the author has broken their hearts more times than all their exes combined. Why does he elicit such a love-hate feeling among his fans? Is it because he doesn't follow the traditional rules of story-telling? Unlike other great fantasy stories such as Harry Potter, Lord of the Rings, and The Hobbit, A Song of Ice and Fire and the Game of Thrones TV adaption isn't about good vs.
evil. In fact, the white walkers are probably the least evil characters in the show. To make it interesting, no character is safe! If you're used to watching series where the main characters are captured, and, just when they're about to be killed, fate defies the odds by saving their lives...Game of Thrones will break your heart. (WARNING; SPOLIER ALERT! DO NOT READ ONWARDS IF YOU HAVE NOT FINISHED READING 'A DANCE WITH DRAGONS' OR WATCHED THE FINAL EPISODE OF GAME OF THRONES SEASON 5). Following the Season 5 finale, the internet went mad, and #GameofThrones was a worldwide trending topic on Twitter for the next 3 days. 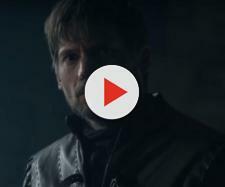 Most viewers who watched the episode could not fathom what had just happened (while other groups of fans swore never to watch Game of Thrones again). If you Google 'Jon Snow' right now, you'll find countless articles posted by grieving fans suggesting that the Lord Commander of the Night's Watch isn't dead. Unfortunately, most fans saying that Jon Snow isn't dead are in denial. Jon Snow was stabbed 6 times by his 'brothers'. You saw his pupils dilate. Kit Harrington has confirmed that 'Jon Snow' is dead and he will not return next season. Is that not proof enough? Even the show's co-creator once said that 'dead is dead' when it comes to Game of Thrones. There is even a candlelit sidewalk Jon Snow memorial in Williamsburg created by Game of Thrones fans. People need to accept that Jon Snow is dead in order to move on and embrace the story. However, it's important to have an open mind, and to brace yourselves for what may happen in 'Winds of Winter' or Season 6. (Please note that the following is speculation, not spoilers). Jon Snow is dead, but it's possible that he will be reborn. In the books, Catelyn Stark was resurrected but she was not the same forgiving mother who let Jaime Lannister escape (rather, a cold-hearted killer known as 'Lady Stoneheart'). If Jon Snow ever comes back, it won't be as the good-hearted Lord Commander, but as something else entirely.